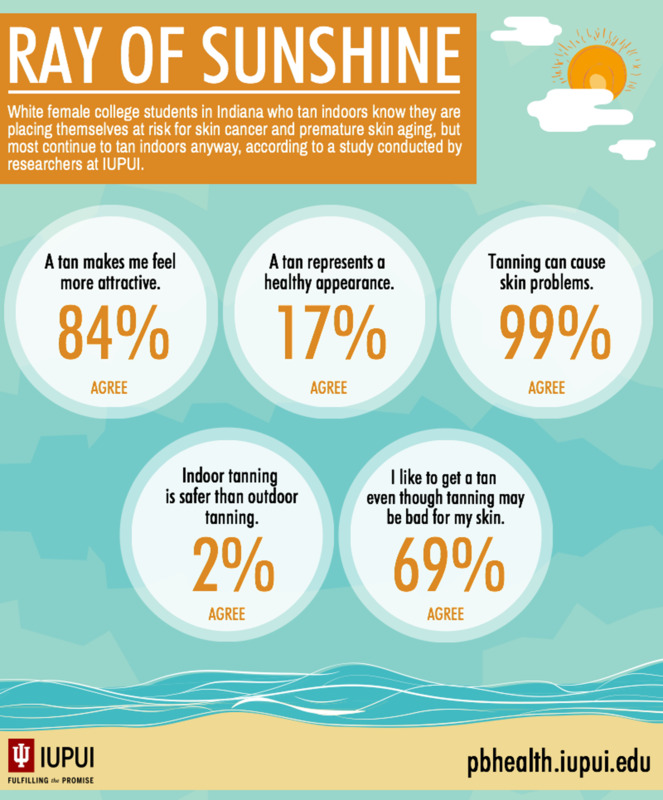 "Even though just about every young woman is aware that tanning can lead to skin cancer, as well as premature aging, most of them continue to close their eyes and bake away. "According to a study published in the Journal of Dermatological Science, investigators conducted a survey about the indoor tanning habits and overall attitudes about tanning of 629 white female undergraduate and graduate students between the ages of 18 and 30 at Indiana University’s campuses in Bloomington and Indianapolis." Read the full article on Yahoo Beauty. You can also read the IUPUI press release here.